"Spoken like a true 'Meebo'"
♚ VISUAL: In Synodiporia, he'll appear just as he normally does, although it's possible for his style to change a bit the longer he stays. Underneath his hair, he wears a circlet (1, 2, & 3) that once belonged to his mother. In Soulgemmed, he does have a Magi form, though for that information, it may be better to check this post out instead. ♚ DEMEANOUR: It might be easier to just refer to the application to see his personality and how he holds himself for the sake of length. ♚ SPOILERS? : I have no warnings really besides obvious spoilers. He's taken from near the end of the game, so there will be spoilers at some point. If you don't want me to say them, let me know and I'll do what I can to keep from doing so. ♚ BACKTAGGING: I'm totally okay with backtagging, mostly because I tend to backtag a lot myself. If you can deal with mine, I can most definitely deal with yours! ♚ FOURTHWALLING: I'm a bit on the fence with fourthwalling mostly because while I'd like to say most likely no, I do find the idea of people knowing who Mikleo is intriguing. That being said, it may be best to just simply contact me about it if your curious to know. ♚ PHYSICAL AFFECTION: Physical affection is A-okay to a point. I'm totally okay with hugs, although you might end up with a flustered and confused Meebo. Honestly holding hands and other things really just depend on the situation and the CR between the characters. ♚ PHYSICAL VIOLENCE: I'm more than okay with fighting, since I suspect that he'll do plenty of that over time. I'd just need a reason for why, but that's always possible during RP plotting and what have you. I don't really have any limits when it comes down to injuring besides prior plotting and asking about it first. I'm okay as long as Mikleo doesn't die. At this point, I'm not exactly sure how dying works otherwise, so this may change a bit. ♚ RELATIONSHIPS: As far as flirting is concerned, I encourage you to try it, although I can't promise you'll get much out of it. I'm more or less amused by the flustered reactions in return.... or it'll just go over his head. Either way. Kissing is a bit more.... limited due to a variety of reasons. I'm probably going to have to say no to this unless there's enough CR to do so, RP shenanigans that cause it, or if you're a certain somebody. 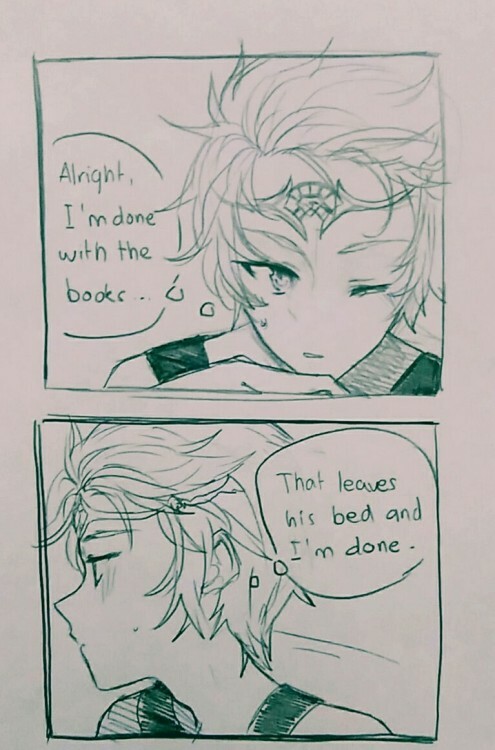 Although in the end, Mikleo doesn't really think about relationships all that much besides maybe one particular person, so I can't promise anything really. Although I fully encourage everyone to poke fun at his feelings and anything to do with Sorey. ♚ SERAPHIM: This is probably the most important section of this particular permissions post and while this will only really account for Synodiporia (since Soulgemmed he's visible), for anyone who is unaware of Seraphim (or Seraphs whatever), they are a type of spirit in some ways. They can not be seen by normal human beings unless they have high resonance (high magical properties/abilities I suppose) or are simply not human. This is very important because Mikleo is a water Seraph and therefore will not be seen by everyone unless there are specific reasons why. ♚ REQUIREMENTS? : There are a few ways that you would be able to hear or see Mikleo. If you are not human or have high resonance (see above) and you think that your character would be able to sense him in some way, than you will most likely be able to see & hear him. (He has a fear of dogs due to the fact that it's unnerving that they can actually see him for instance.) However, it is possible to eventually be able to see him with time, but that requires you to spend enough time around him to become more likely to see him. ♚ BUT I'M HUMAN, HOW WILL I TALK TO HIM? : Wonderful question! You may not be able to see or hear him normally, but thankfully the telepathy will be extremely useful and will still allow people to talk to him and get to know him. I suppose other possibilities may be through writing or text of some sort, but he's more likely to go with telepathy. ♚ WOULD I BE ABLE TO SEE HIM? : As much as I'd like to stick by the mechanics of the game as much as possible, I do feel like this might limit his possible CR and I'd love any that I can get. So I'm going to throw in a wildcard here. If there is anyone who'd really like to see Mikleo, we can work out a way (or just say that it's a fluke of some sort and they're just lucky.) Either way, I'm sure with learned skills as well as a variety of reasons, we can figure out a way to make it happen, but for something like this, it may be better to just contact me than to post here so we can figure things out a lot easier and faster. ♚ CODE: Please fill out the form below and reply to this post. All comments are screened. <span style="color: #00b8e6; font-size: 8pt; font-weight:bold">♚ NAME:</span> In western order please! <span style="color: #00b8e6; font-size: 8pt; font-weight:bold">♚ CANON:</span> Pretty simple, also please add if you are and AU/OU/PG of some sort. <span style="color: #00b8e6; font-size: 8pt; font-weight:bold">♚ ARE THEY HUMAN? 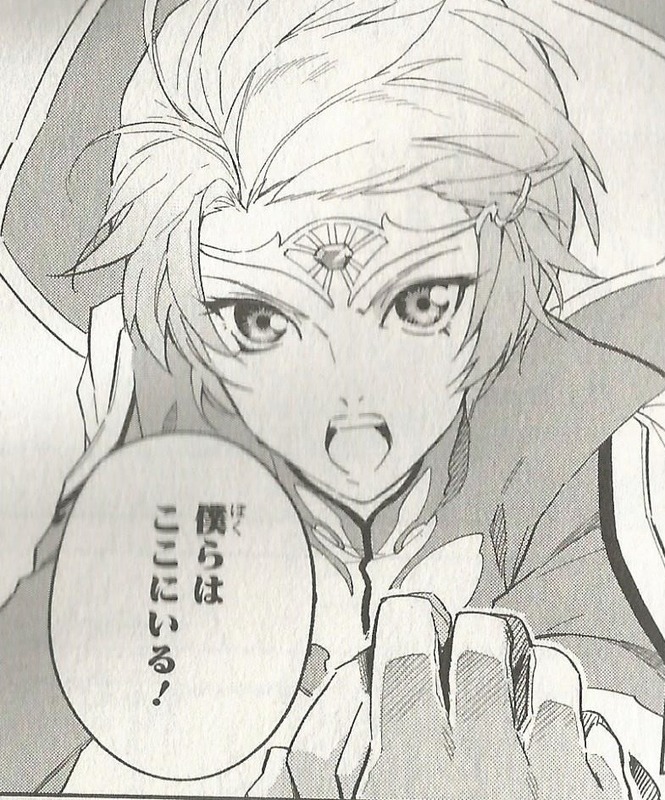 :</span> If not, than they will be able to see Mikleo. It would also be beneficial for me if you could specify what they are if they are not human. <span style="color: #00b8e6; font-size: 8pt; font-weight:bold">♚ CAN THEY SEE HIM? :</span> Obviously this is a yes for anyone not human, but if you are human and have the proper means of being able to see him, than feel free to elaborate here as to why you feel that way and what exactly allows it. <span style="color: #00b8e6; font-size: 8pt; font-weight:bold">♚ WOULD THEY LIKE TO SEE HIM? :</span> This refers to the desire to see him, but may or may not manage to fit the requirements necessary. If you would like to see him, try to give me reasons as to why they might be able to and we can deliberate from there. I currently have Mikleo in both soulgemmed and synodiporia . If you feel that I'm portraying Mikleo incorrectly in any way, feel free to post here anon or not. If you have any suggestions on how I could play him better, I'm open to them. 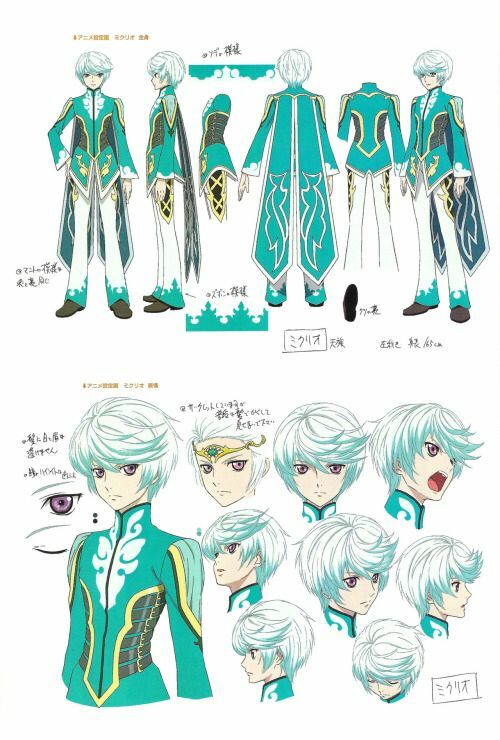 Mikleo is a fairly new muse to me, so I hope that I can properly portray him. You can also IM/Plurk/PM me if you feel that would be better. 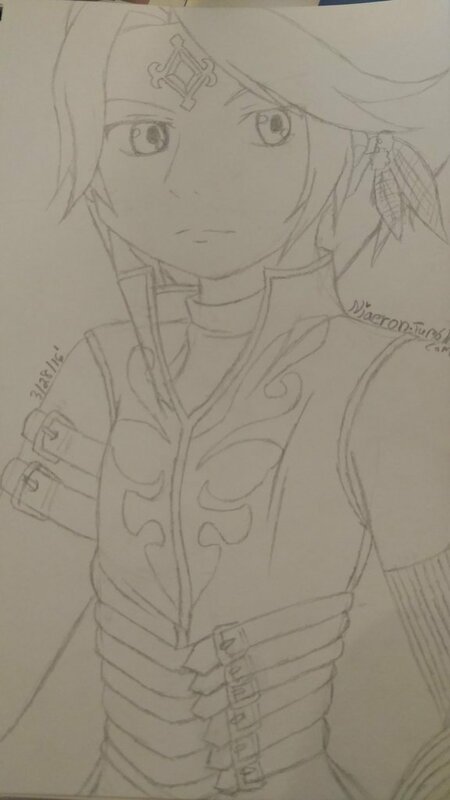 Wish: "Purify Maotelus and Heldalf so that Sorey doesn't have to." Result: By no means has Mikleo ever wanted to outshine Sorey or steal his thunder. If Sorey never had to purify them, then there would be no reason for him to sleep for however long it would take for him to wake again. He wouldn't have to sacrifice himself. Mikleo never wanted Sorey to go, but he knew it was something that he had to do. That was until this wish business came to light. If Mikleo could wish for this, than that should allow Sorey to keep doing what he was doing. He could continue to explore new ruins and the places listed in the Celestial Record. He never had to sleep and he could live his life like a (fairly) normal human. Mikleo was fine with disappearing in his stead, although all he'd ever wanted was to always be with Sorey; To always see him smile. That way, Sorey would be able to spend time with the others yet. He would be able to see Rose and Alisha before they grew too old. That might not be possibly if he were to sacrifice himself, only to wake up 100+ more years later. It would have had the same affect as if Sorey had done it really, minus having the Seraphs used as weapons of sorts. Outfit: This is the general idea, but I'm in the process of drawing it out so you can see all of it. His Soul Gem is on his forehead and hair styled differently in order to see it better. When he's not in Magi form, it takes the shape of the circlet that he wears, replacing the gem that was in it before with his Soul Gem instead. Because of this, it goes unseen most of the time because it lies underneath his bangs. 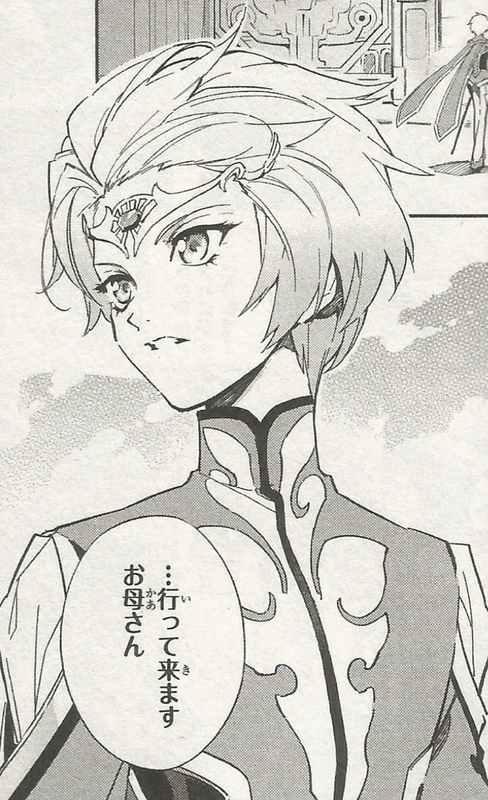 The earring is somewhat recognizable maybe by some people, as a result in his wish to save Sorey. There are also feathers like it on the bottom of his tunic (that you'll eventually see). » Malevolence Resistance - Purifying hellions back where he's from comes from the power of the Shepherd and the Prime Lord, but thanks to his wish, his Soul Gem takes longer than usually to get muddled after every use. It's not a long term fix by any means, but it allows him to go a little bit longer before having to find another Grief Seed to purify it. Because his wish is to purify both Maotelus and Heldalf, this falls into some resistance to Soul Gem corruption. Despite this, he will still need to find Grief Seeds just like everyone else and at most might be able to last a few more fights before needed to do so. 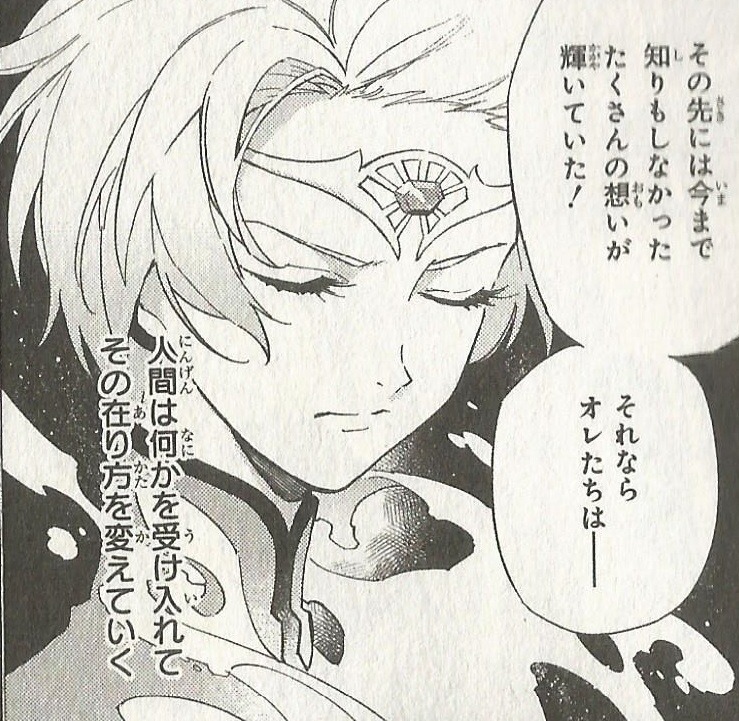 » Aura Detection: Mikleo can detect when there is another person nearby, although he may or may not be able to recognize who they are right away unless they're close enough. He wouldn't likely know who it was if he's never met them prior to that. Thanks to that he would be able to recognize anyone nearby despite not being able to see for whatever reason. At first, he'll just have minimal abilities that will allow him to detect others, but not who they are with minimal distance. » Water Manipulation - Although he's been stripped of his water affiliated artes, it seems being a water seraph has allowed him to at least use some water manipulation, although it's been fairly limited to what he used to be able to do. Right away, he'd only be able to do minor attacks. At least something to fight with if the need arises. He's a fairly decent fighter normally, so if nothing else, he can at least hold off for a while on the limited use of water abilities. In some cultures, it's believed that water has a holy, purifying effect; most commonly found in religion and churches. Purifying hellions had always been more desirable than outright killing because people could be saved even if their souls had reached that point. Threadhopping: Yes, but please give me a heads up or ask me before you do. Fourthwalling: Most likely no?? I'm not really against it either though. Just ask if curious. Offensive subjects: There really aren't many subjects that would really trigger Mikleo. Teasing is one, but I personally encourage it. Hugging this character: Go ahead! Just be prepared for a flustered and confused Meebo. Kissing this character: I'm probably going to have to say no to this unless there's enough CR to do so, RP shenanigans that cause it, or if you're a certain somebody. Flirting with this character: Please try it. I can't promise you'll get much out of it, but I'm okay with it. Fighting with this character: Yes, go ahead! I'd just need a reason for why, but that's always possible during RP plotting and what have you. Injuring this character: Yes; I don't really have any limits. As long as his soul gem is not destroyed, taken from him, or anything like that that would cause for him not to come back to life, I don't mind if he got injured (with prior plotting hopefully). Killing this character: Only if his Soul Gem is fine and we've discussed it further before it. Using telepathy/mind reading abilities on this character: Have at it! Please annoy the crap out of him and tease him. He needs more Ednas in his life to make it terrible :'D. Warnings: I have no warnings really besides obvious spoilers. He's taken from near the end of the game, so there will be spoilers at some point. If you don't want me to say them, let me know and I'll do what I can to keep from doing so.